Call me green dibs. “Green Dibs” is the name of my future car. Why did I firmly convey my intent of owning this 1967 Bel Air that Junkyard Life brother Keith Lively found in the woods with a vast array of other forsaken Chevrolets? Who knows why I do the things I do, but in this case — I can tell you. I (once again) have an intake with no motor or car to go with it. Details, I say. Mere details, that Keith has solved for me. 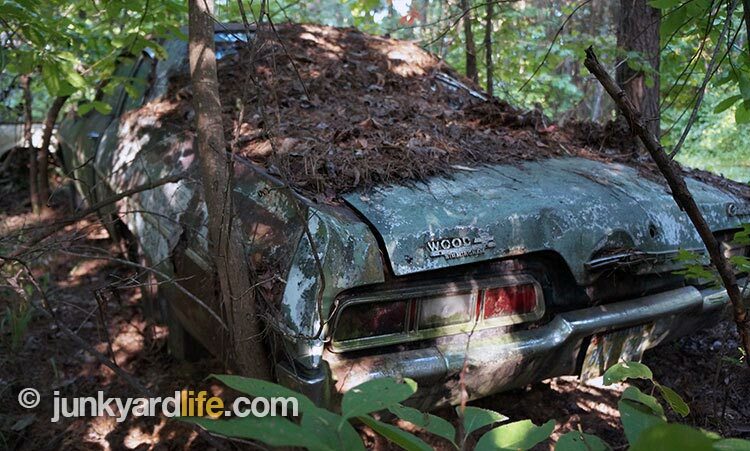 When Junkyard Life finds cars in the woods — we find awesome cars in the woods. 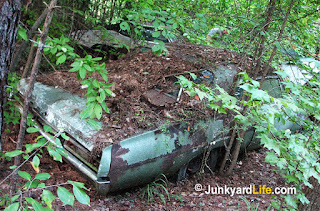 There was a 1970 Malibu (see video), 1968 Caprice 327, 1963 Super Sport 4-speed 327, and this lovely vision of green for me, me, me. 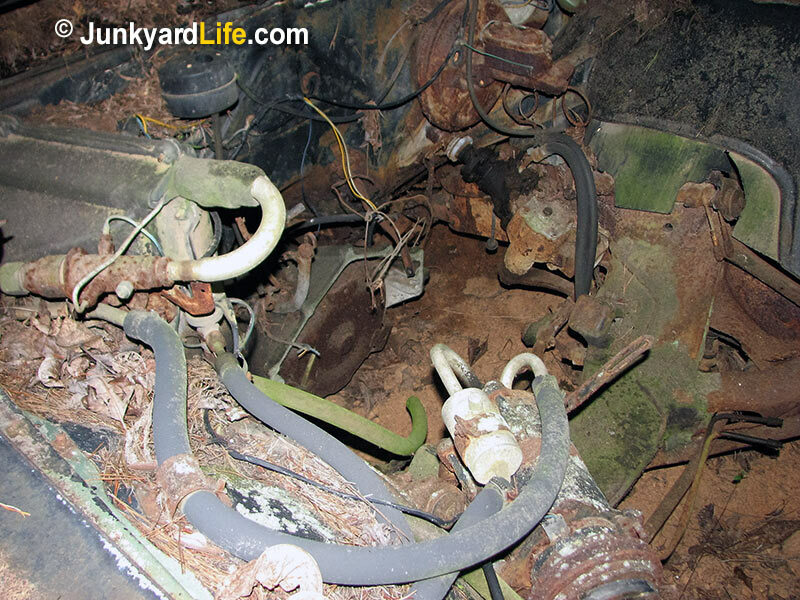 The ’67 Bel Air’s fixed post ahead of the rear side window, along with the framed door glass, are clues this is not a hard top. 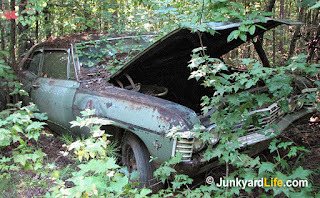 This is a 1967 Chevrolet two-door Bel Air post sedan. That is what makes it so irresistible to me is the spartan post divider. Why am I drawn to this barge? Keep in mind that by 1967 the Bel Air trim level was not as hip as the California hot spot for which it was named. 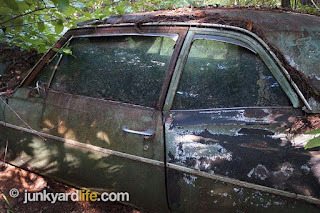 The Bel Air was the top of the line in the mid-1950s, but by now Chevrolet had convinced us that property values in Bel Air were not what they used to be. 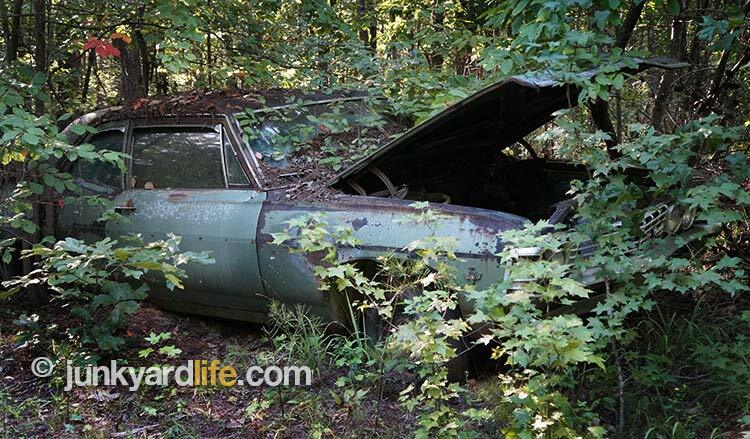 The two-door Bel Air is wheel deep in the earth after decades in the woods of Alabama. Biscayne: Bottom of the barrel, affordable, basic transportation. Some did not even have carpet. Bel Air: Once top of the line, now barely next to the bottom. The name at least commanded attention, but the car was still a bit basic. Options could be had, but so much more could be waiting in the next level. 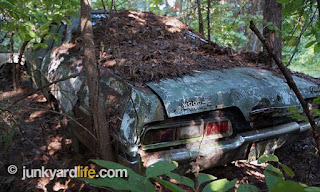 Impala: Usually a hard top or even a convertible with way more trim. Now you’re getting more pricey, but exciting. One might even say “Super”. Perhaps even “Sporting”. 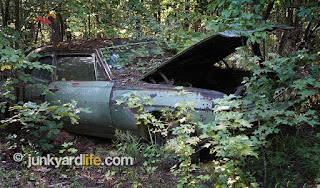 This is where you had to work up to in order to order the famous “Super Sport” package. 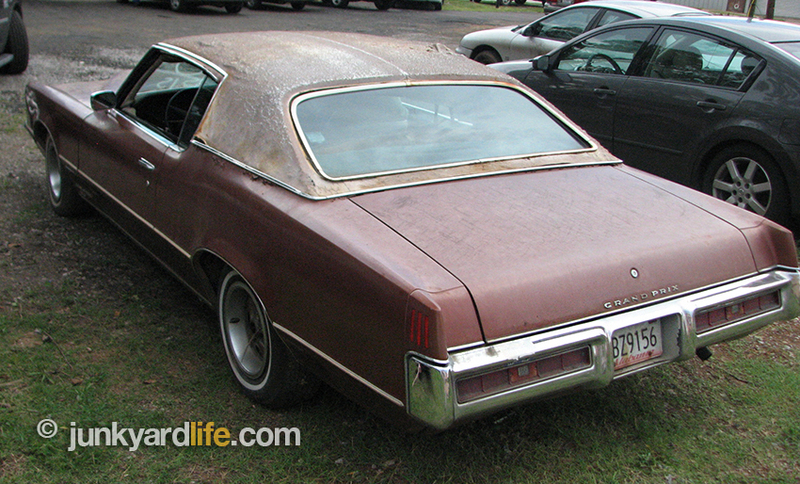 Caprice: The name introduced in 1965 as the top dog in the full-size line, this car was probably loaded. If not, what was the incentive to buy the top of the line name? 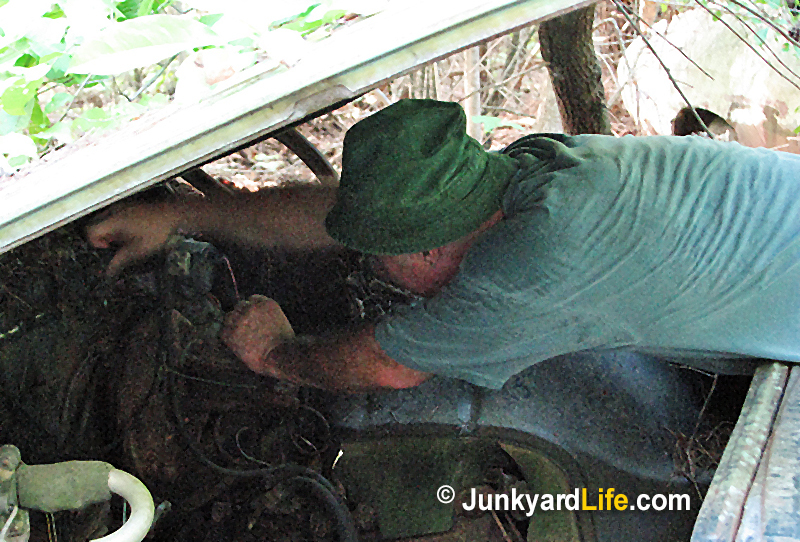 Ron Kidd digs under the hood for the paint code on the 1967 Chevy Bel Air. colors… green. In this case Mountain Green. It shall stay that way. It was born with the optional 327-V8 engine, power steering, power brakes, and air conditioning. It seems to be wearing Rally wheels and it is a post sedan. We love post sedans. It will be wearing hub caps and powered by a 454 engine and whatever transmission I can find. How does an under hood intake with two 4-barrels sound? Remember the intake I mentioned I had? What a coincidence! 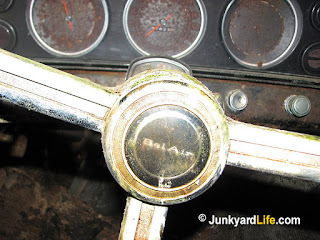 It also has circular gauges that would be absolutely perfect for a tachometer. 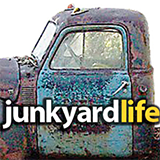 You know how much Junkyard Life loves tachometers. We do make a big deal about them, don’t we? Before I get into a front disc brake upgrade, I suppose now I should concentrate on getting the deal secured. Where will I put it? When will I get to it? How do I get it out of the woods? Details, blah, blah, whatever. I already said “dibs” several times. Ron Kid, Keith Lively, and Jody Potter gather around the 1967 Bel Air that Ron claimed dibs on. 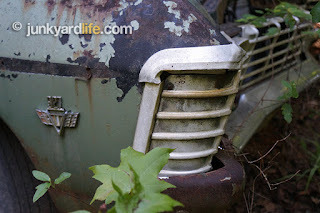 Bel Air really was a trim level that indicated top of the line for Chevrolet in the early sedan days. 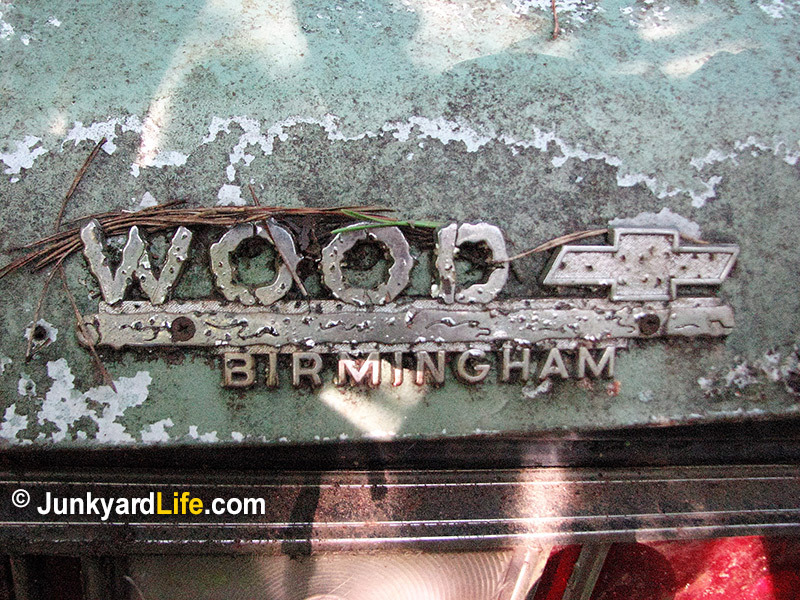 By the time Green Dibs was born, The Bel Air name plate was almost as low buck as a buyer could go. The name and trim line “Impala” trumped the Bel Air in 1958. 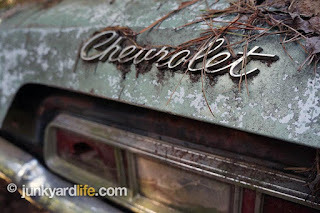 Chevrolet stood their ground with the name despite going from the best selling and memorable car in 1957, with the Bel Air, to the not as exciting, much less popular 1958 model and calling it “Impala”. Impala is a small deer-like animal that runs really fast. They run not by grace, but for fear of their lives, as they are being chased by several predators. 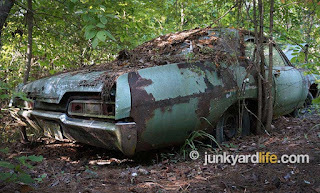 Bewildering that other car builder’s advertising campaigns didn’t play on that fact. 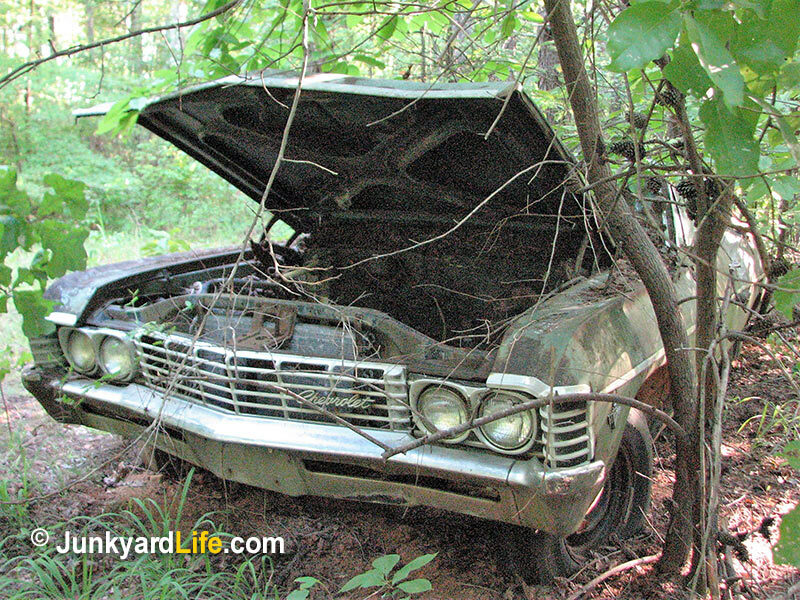 Such as, a Cougar (Mercury) could feed on an Impala (Chevrolet) because they could catch them. Although not a fun fact. The Impala can been seen on full-size Chevrolet emblems and steering wheels. 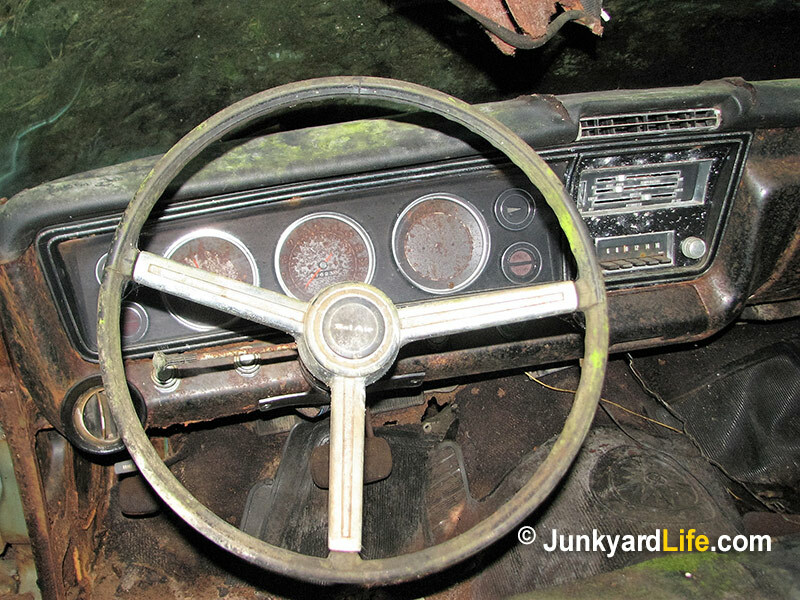 Trio of round gauge pods framed by the 1967 Chevy steering wheel. 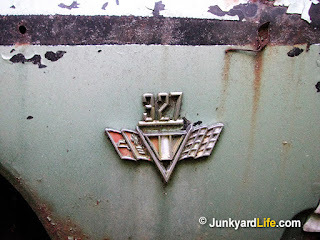 Cross flags and 327 emblem was a popular sight on Chevrolets in the 1960s. Engine bay is empty on the 1967 Bel Air. 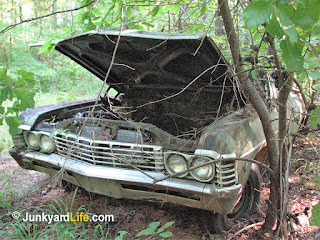 327-V8 long since removed and the carcass left for dead in the woods in the 1980s. Mountain Green paint is almost the same color as summer foliage in Alabama. Bel Air bling carries little weight by 1967. The name was tired and Chevy relegated it to the cheapo model. 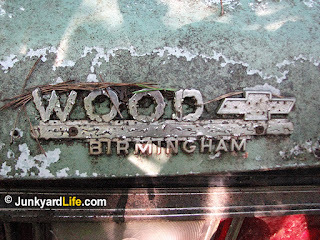 Wood Chevrolet was a big time Birmingham, Alabama-area car dealer for many decades including the muscle car era. 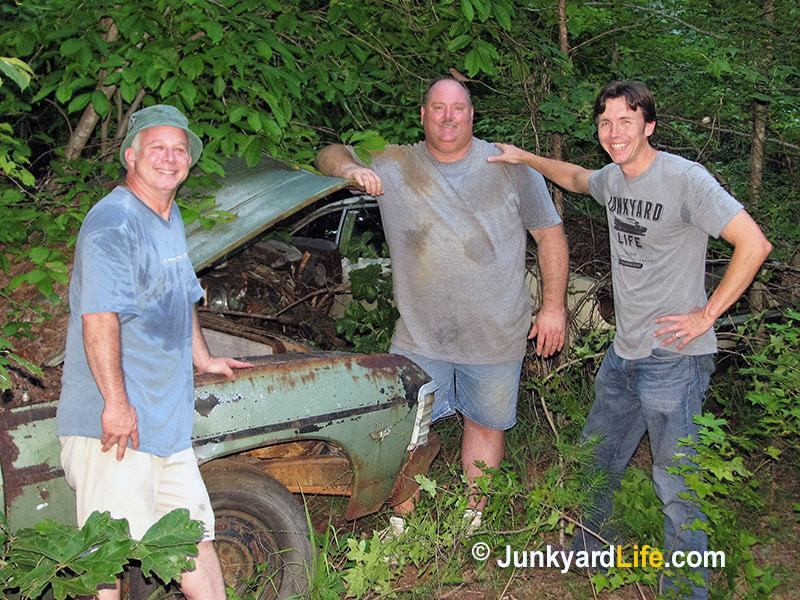 It was a hot day when we checked out Keith Lively’s new found stash of Chevys. The threat of snake bites and poison oak will never deter us. Full-size hot rod dreams are made of post sedans. 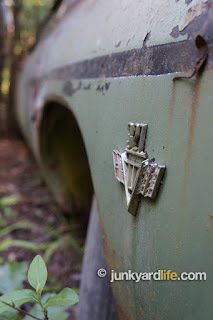 Chevrolet script emblem decorates the trunk of the 1967 Bel Air. The car looks a mile long from this angle. Aluminum trim extends beyond the grill wrapping onto the sides of the big 1967 Bel Air Chevy. Keep hunting for prizes like this 2-door 1967 Chevrolet Bel Air in Mountain Green. They exist! 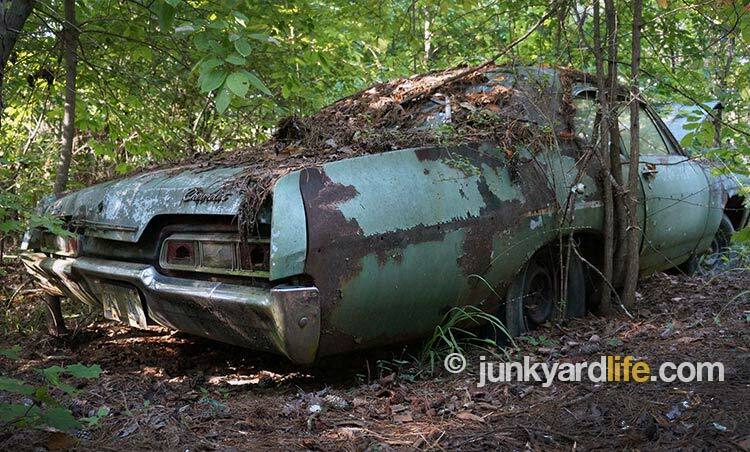 These ’67 Chevy tail lights may soon glow again if Ron Kidd can haul this baby home.